Sean Buck | The leader in Ballroom dancing! Sean Buck – The leader in Ballroom dancing! The leader in Ballroom dancing! Try a private lesson today! NEW BEGINNER II CLASS! – Class starts Wednesday, December 5th @7:00pm. This class continues where Beginner I leaves off. We build more dances for you to learn. Classes are 8 weeks – $80pp. Location: Boulder Creek Ballroom. $10 deposit to hold your spot is required. Learn the Waltz, Tango, Rumba, and Swing! Dress comfortably. No street shoes! Only dance shoes or socks, please! 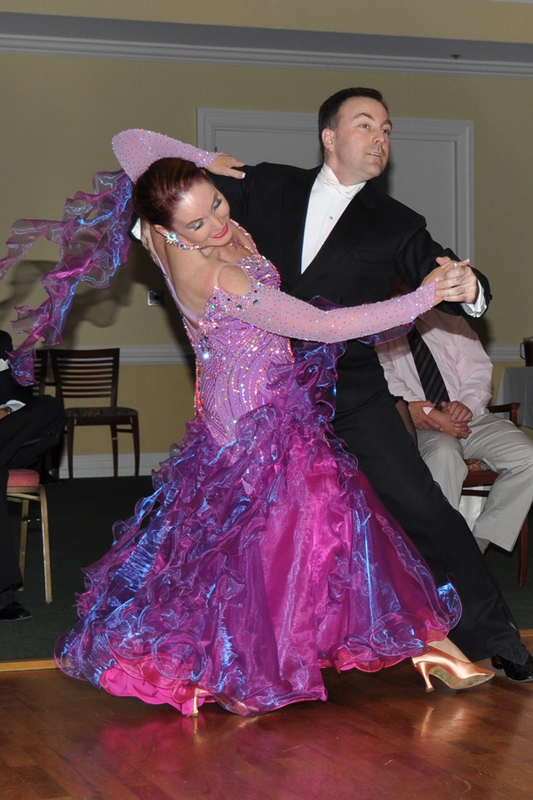 SILVER INTERNATIONAL WALTZ – Thursday, October 25th @7:00pm – This is a beautiful sequence for a beautiful dance! We are doing the ISTD Silver sequence in this class. You need to have Bronze under your belt to take this class! It is a 5-week class. Here’s your chance to really develop your Waltz! $55 per person. Sign up ahead of time, please. Classes at Boulder Creek Ballroom. Call 585-503-7087 to register or email Susiebballroom@gmail.com. BRONZE VIENNESE WALTZ! This is a 4-week class starting Thursday, October 25th @8:00pm. Only $44pp. We are using the WDSF Bronze syllabus for those of you following USA Dance Competitions. The Viennese Waltz is gorgeous but it can be tricky to pick up at first. Some people take this class several times to perfect. You do need BI and BII definitely under your belt! Sign up ahead of time! Location: Boulder Creek Ballroom. $10 deposit to hold your spot is required. Bring big smiles with you! INTERMEDIATE I CLASS! This is an 8-week class starting Tuesday, December 11th @7:00pm. Only $80pp. This class picks up after you have completed Beginner I and Beginner I. We continue to add new dances and build up some of your existing ones. You start to feel more comfortable on the dance floor! We add to the Waltz, Foxtrot, and Rumba, learn the Samba and Mambo. A nice balance of Ballroom and Latin. Sign up ahead of time! Location: Boulder Creek Ballroom. $10 deposit to hold your spot is required. BALLROOM DANCE PARTY – SATURDAY, OCTOBER 27TH 7-10PM This is the first time we have held the dance on a Saturday night! This is where you get to practice what you are learning in class! Work on your steps, floor craft and meet some other really nice ballroom dancers! Music being played will be Ballroom/Latin/Country/WCS. The beginning will be a quick 30-minute Intermediate Lesson each month on a different dance. September Dance Lesson will be announced later. $5 per person. Please let Susie know if you plan to attend if possible. RSVP!!! Thanks! Sean Buck will be in Raleigh November 1-3. He is available for coaching Thursday and Friday. Saturday Sean and Susie will be judging at the Triangle Open. Schedule your lesson today before his time fills up. I hope everyone will join us at the competition Saturday in Raleigh! Watch for our Showcase Party Date coming soon in November! You can be the next star! Talk to Susie about what it takes to perform. It is a lot of fun! Sean Buck will also be here and available for private lessons! His schedule is limited so reserve your spot now! Talk to Susie today about dancing in the next studio showcase! Holiday Gift Certificates Available for any amount! NEW BEGINNER II CLASS! – Class starts Tuesday, October 16th @7:00pm. This class continues where Beginner I leaves off. We build more dances for you to learn. Classes are 8 weeks – $80pp. Location: Boulder Creek Ballroom. $10 deposit to hold your spot is required. Learn the Waltz, Tango, Rumba, and Swing! Dress comfortably. No street shoes! Only dance shoes or socks please! CHA CHA CHA – Monday, October 8th @7:00pm – This is a fun class! We are doing the ISTD Bronze sequence in this class. Everyone is welcome to take this class! It is a 4 week class. Here’s your chance to build up your Cha Cha steps and also work on yours legs and hips! Good music they play on the radio and great exercise! $44 per person. Sign up ahead of time please. Classes at Boulder Creek Ballroom. Call 585-503-7087 to register or email Susiebballroom@gmail.com. AMERICAN FOXTROT CLASS! 4 week class starting Monday, October 8th @8:00pm. Only $44pp. The Foxtrot is the dance they play more than any other one at the dances. This is your chance to learn new steps and improve on your technique. Give your Foxtrot that “facelift” it deserves! Learn the Bronze American Syllabus and improve on your technique. It’s a fun dance routine! You should have the foundations (BI). Sign up ahead of time! Location: Boulder Creek Ballroom. $10 deposit to hold your spot is required. NO street shoes please! Dance shoes or socks only. Bring smiles. BALLROOM DANCE PARTY – SATURDAY, OCTOBER 27TH 7-10PM This is the first time we have held the dance on a Saturday night! This is where you get to practice what you are learning in class! Work on your steps, floor craft and meet some other really nice ballroom dancers! Music being played will be Ballroom/Latin/Country/WCS. The beginning will be a quick 30 minute Intermediate Lesson each month on a different dance. September Dance Lesson will be announced later. $5 per person. Please let Susie know if you plan to attend if possible. RSVP!!! Thanks! Check out the new April Classes! Check out all the new classes! Lots of new different classes starting all the time. *A New Formation Class is starting soon! Plus, join Take The Lead Ballroom when the dance and travel the Caribbean in November! More information to come soon! Remember, if you want these notes delivered directly to your email, just sign up on the home page under BLOG and they will be delivered right to you! Due to a scheduling conflict, we have moved the starting date for the Quickstep and Bolero to NEXT Sunday. Everything else will remain the same. Bolero – 4 weeks-Sunday, September 28th @7:00pm, $44pp. Just let me know if you are planning on taking the class. Professional Ballroom Dancer teaching people the joy of dancing. Available for coaching, adjudicating, and performances. Teaching beginner dancers through professional level. Also training dancers for their professional exams. ISTD and DVIDA.